Learn How To Identify Keys Of Songs On The Piano! Today we are going to play name that key. Well, we aren't really going to play a game, but I want to teach you how to figure out a key if you hear the song on the radio. Humming along with the song will help you find notes, but how do you find the key? Well, let's start by answering a simple question. What is a key? Well, the key of a song is just the scale that the song is based on. In a G major scale, we know that the root of the scale is the G. The root of the scale can also be called the tonic. If we base our song around the notes of the G major scale, then we can say that the song is in the key of G.
It all relates back to that scale. We now know what a key is, but how do we find out what key a particular song is in just by hearing it? Well, I'm going to teach you a little rule of thumb that can help you in doing just that. Listen to the last note of the song. The very last note of a song, or that last big chord, is more often the root note or chord of the song. If you watch the video, you'll hear me play the Bruce Hornsby song "The Way it Is". 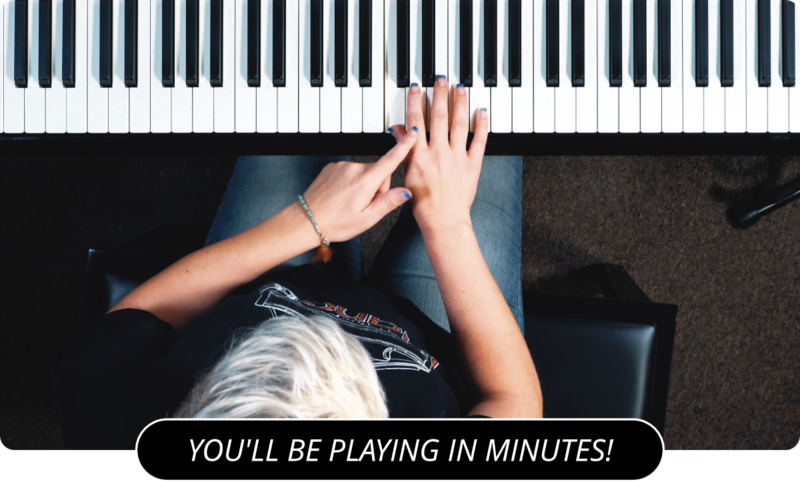 With a little trial and error you will be able to identify the last note of the song as a G. To confirm that the song is indeed in the key of G, play all of the chords that can be made form the G major scale and see if they fit with the chords of the song. Doing this will also help you identify what chords are in the song, and in what order they are played. Now listen to me play "Twinkle Twinkle Little Star". Hum that final note and try to find it on your keyboard. In this case you will find that the note is a C. Now to confirm that our theory is correct, and that the song is in the key of C, try to play all the notes of the melody using just the C major scale. This trick doesn't always work. Sometimes a song ends in the four chord, or maybe another chord. If you follow my other lessons on intervals and really learn the way the intervals sound with one another, you'll be able to pick out the four chord when compared to the root chord. Just remember that the root note of a song is the one that your ear is naturally drawn to. For the next piano lesson, you can practice this simple Note Value Exercise .